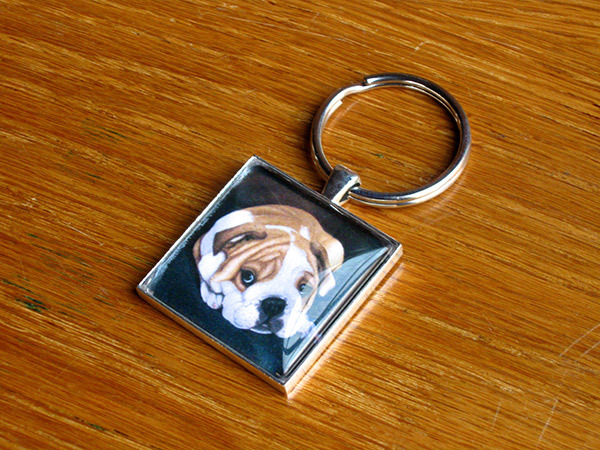 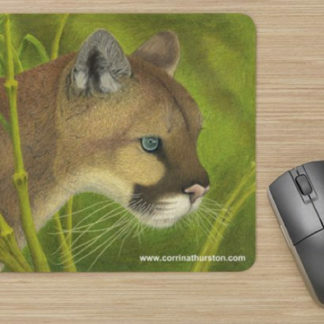 Enjoy the colored pencil drawing, English Bulldog Puppy, as a daily accessory to your keys! 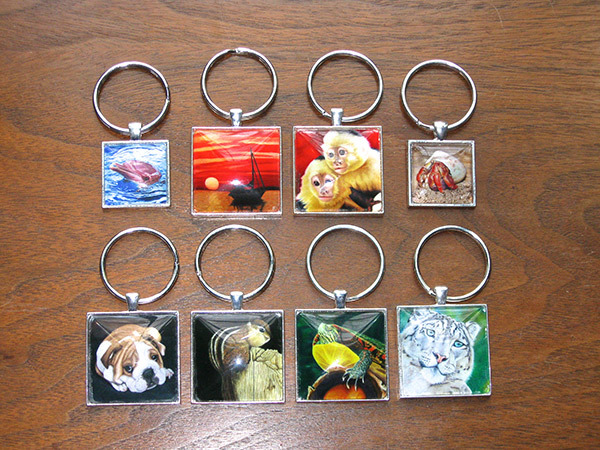 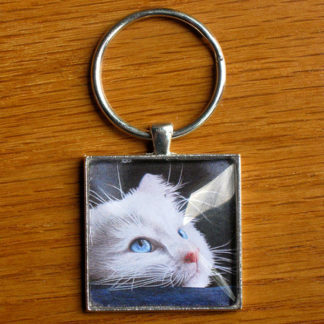 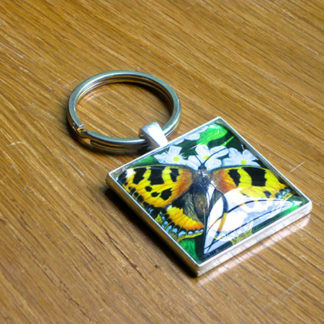 Keychains come in two sizes: small and large. 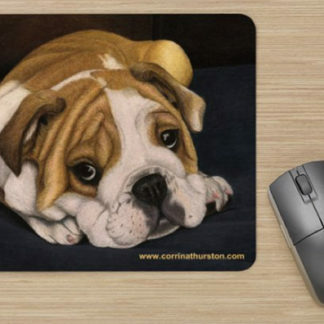 View prints and other products of the English Bulldog Puppy here.